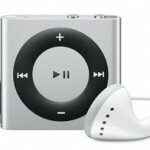 Why is there a difference in iPod audio Quality? There are two main things that contribute to the sound quality of an iPod. One is the audio chip that is used. 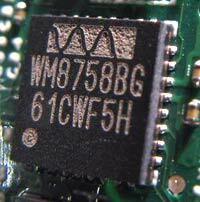 This is the chip that converts the digital data into the actual sound. It is called a Digital to Analog converter or DAC. The other is the combination of components along the audio path from the audio chip to the headphone jack – a mixture of op-amps, capacitors, resistors and inductors. The iPods I like the best seem to be those that use the Audio chips from the Scottish company Wolfson. When I detected this difference I didn’t know what a Wolfson chip was, but I could definitely hear a difference and so I did some research. It turns out that my two favourite iPods that i owned at the time of first discovering this – the Nano and my 4th Gen iPod – both had a Wolfson chip in them. The iPhone 3Gs did not. 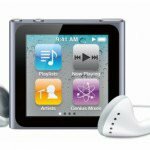 If you want the best possible audio quality, try and get hold of one of the fifth generation iPods – model number A1136. This includes the iPod 5G, iPod U2 5G, iPod 5th Gen enhanced and iPod 5th Gen with video. The 5.5th Gen ‘Enhanced’ is hard to spot because it has exactly the same model number as the 5th Gen iPod. (A1136). The only way to tell the ‘Enhanced’ apart is that it has a ‘Search’ option in the software. (See here for more details). He then goes on to do some measurements to back up his findings. – Treble has a slight uplift. – The group delay is not linear over the frequency range. – There is significant intermodulation distortion with a 22.1kHz component. The measurements show a correlation with the things I hear, but from a pure scientific perspective the cause-consequence is not determined by these measurements. The measurements show some flawed behavior of the audio circuitry, which so-far is the only thing that can be concluded without any doubt. This test shows iPhone 4S has better specs the iPod Classic 6G and the iPad 2, but I can’t’ find any direct comparison between the iPhone 4S and the 5.5G iPod. Which iPods have a Wolfson audio chip? iPhone (WM8758BG) and the iPhone 3G (WM6180). In summary, all the early iPods up to 5G Classic used Wolfson chips. Which iPods have a Cirrus Audio Chip? Cambridge Audio and Harman Kardon use Wolfson DAC chips in their CD players. Pioneer, NAD and Onkyo use wolfson in some of their CD players. Marantz use the Cirrus Range. So it’s not just about the chip – the other audio components will make a difference too. Here’s a rave review of the 3rd generation iPod (has a wolfson chip) from Stereophile magazine from 2003. This article was first written in 2010, and Apple keeps improving the audio quality with every iPod released, but I think these results still stand. Check out this thread for some other raves about the 5.5G iPod compared to the later models. There will always be new models coming out – keep an eye on head-fi forums and so on for reviews. 2011:Recently the 7th Generation Classic has been released and some people prefer the 7 to the 5.5. There’s a great debate about the 5.5G vs 7G here and here. It seems the 7G is more accurate and precise, however the 5.5 feels warmer. 2011: It’s rumoured that with the iPhone 5 Apple will be returning to the Wolfson chips, but we’ll see! (Note: The iPhone 5 was been released and they didn’t, same for iPhone 6). 2012: Apple have released a lightning to 30 pin dock adapter and it has a wolfson chip in it. (The Wolfson WM8533 DAC). So there’s a way to get a wolfson in your iPhone 5. 2015: Apple have released iPhone 6, no wolfson but you can still use the lightning to 30 pin dock adapter which has a wolfs chip in it. iPod nano 1G and 2G (wolfson 8975). How to distinguish a 5.5th generation ‘Enhanced’ iPod How to make a podcast How to upgrade your iTunes songs How to connect your iPhone or iPod to your home stereo. How to play music to your stereo wirelessly from your iPhone, iPad or iPod on a non airplay equipped stereo. 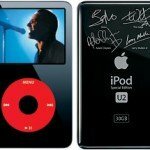 If you want to stay iPod, then the ultimate is a 5.5G classic iPod with the Red Wine Audio modification – often known as the iMod. To increase battery life and cut down on noise you can also fit a solid-state disk to these as well. Is the audio quality of the iPod relevant when connected via 30pin / lightning or only when using headphone output? It depends, the iPod can send line out audio out the 30 pin dock or it can send digital audio. Out the lightning it can only send digital audio. So irrelevant when using lightning connector. I just bought me an ipod touch 4G with 32Gb for listening music. How is this model(what chip does it have)? It will be fine, chances are you won’t notice any difference between it and a better one unless you listen in a really good stereo, even then you may not notice any difference. Funny thing is I had several iPods (Nano 4th and 5th gen., Touch 3rd gen.) and 4 iPhones and with all honesty I must say that iPhone 6/6Plus are the best sounding devices apple ever made. How to find out? Forget headphones (doesn’t matter if they are stock white buddies or a pair of Klipsch)…Connect your iPhone’s line out to a decent set of speakers straight to it…A 2.0/2.1 Logitech or Creative system is enough, so that the internal DAC is engaged (if you connect through Lightning you need converters somewhere before speakers)….Voilà…. Yes, all popular devices will be added step-by-step. Will inform you; also SE twitter. What do you mean the 2009 Classic ‘corresponds’ to the 4th and 5th Gen iPod that you liked? It doesn’t at all. The 2009 Classic was the 2nd revision of the 6th generation, commonly called the 7th Generation. Mark you are right, I’m not sure what I was thinking or even referring to in that post above. As I state in the article, I’m pretty sure the 5.5th (5th gen enhanced) was the last Wolfson iPod. I recently purchased fiio x5 2nd gen and even though it can handle more than the famous classic ipod (which I have but not sure if its a 5th gen?…around 7 years old plastic front so possibly 5th? )I just find x5 isn’t so gutsy as my old ipod and also when I did comparison on an old fashioned stereo track with drums in left channel etc…..,I noticed that ipod revealed more of the drum sound particularly clearer as well whereas x5 was faint sounding and wooley….im using senheiser hd25 headphones that I mostly use for travelling but use at home when noise leakage is an issue with wife around……these headphones are used by djs and bbc camera men etc…..so they would let you hear almost anything…..
what I wanted to ask was what makes have wolfsen chips in dacs that I could possibly plug my x5 into just to bring it up to better soundstage than what it is right now…. its a shame apple killed off ipod and didn’t persue it further with dsd etc…….. Someone has asked about the 1st gen iPod Shuffle. I personally love the sound. But I didn’t include it in the article because I could not find what chip it had. According to this thread it was a SigmaTel audio chip! 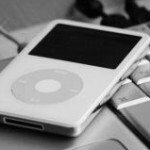 Nice article…I am in search of a good iPod classic. After hearing the audio quality on an old iPod classic I am totally in love with it. Off late I found a seller giving away his old iPod… Its model number is MA446ZP. When I search on internet it says…its 5th generation enhanced. This is black color, 30gb capacity. Now I would like to know if this different from 5.5gen and 5th gen? Does it have Wolfson chip on it? Only if its worth having the best audio quality, I would buy it. Please advise…I am in urgent mode. 5th Gen enhanced is Gen 5.5, same thing! I’ve been trying various external DAC amplifiers. I was wondering if you could evaluate the specs of the DAC I’ll be getting on Friday. Here is the link. I’m also gifting my old 4s which I’ve loaded with 4000+ tracks to an old friend as an “ultimate walkman”.Are there any aftermarket chip mods that you recommend for a 4s? Lastly, which has better audio, the 4s or 6s? Atlast I brought a iPod 5 enhanced… This was a used one… But in a good condition. Thank you for the reviews and classification. Love the quality of the audio. Nano 1st gen? You kidding right? I had two of those pieces of sh…t and blew the headphone jacks on both with different headphones, and they didn’t even sound well to begin with. I’ve had a few iPods 5G+ over the years and pretty much any laptop with good headphones (I think Grado SR-60 is the bare minimum) produces cleaner audio output than the iPods I had. Except the iPod Mini 2G! Right now, I have an iPod 5.5G and Mini 2G. Both have been upgraded using big SD cards. (No need for lossy compression; everything is encoded Apple Lossless, from real CDs, not iTunes rubbish.) I bought a cheap mini just for podcasts in the car and was blown away by how much better the Mini sounds than the 5.5G, even crap mp3s sound better! I’m using the same set of Grado SR80 headphones on each and there is no contest: listening to Peter Gabriel’s So on 5.5G, his voice sounds harsh and the loud bits almost sound clipped; on the Mini, it is like a different, better album with clear, detailed sound revealing effects I didn’t even notice on my old 5.5G. Now since both of these are second hand, it is possible my 5.5G is not what it appears. Are the parts interchangeable with 5th gen. iPods? Could you post pictures of these good audio chips? I have been working with old iPods for a few months now. I compared Classics to Videos to Minis, plus I have some Nanos & Touches. The iPod I like best for sound is the 5th gen video and yes, I prefer the 5.5 because of the upgraded LCD as the audio caps are the same as the 5.0. I find the Videos are relativley easy to work on too. The Minis sound good too but their older interface makes it more like a USB and the display is limited when showing song, artist & album. For me, the Classic sound was not even in the same ballpark. BTW, comparisons in a controlled environment, with someone else swapping the iPods on a 30 pin dock. Headphones show similar results IMHO. Great Article. Thanks a bunch! Having owned an iPod Nano 1G, 4G and 6G, I have to disagree with this article. The sound quality definitely got better over the years. I got the Nano 1G and 4G as a present, used them a bit, but thought they were way inferior to my Minidisc player. It was only when I got to hear a Nano 6G that I finally thought iPods have caught up (perhaps even surpassed?) Minidisc in terms of sound quality. The soundstage on a Nano 6G is much wider than on a 1G, there is less hissing in silent passages of the music, and instruments are more defined. I like the Nano 6G, and especially considering the size and weight, I think Apple’s engineers have really done a marvelous job with it. Thanks for this reference piece. 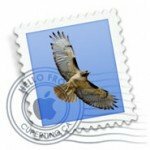 I’m an old-school iPod enthusiast, and have been looking into purchasing a refurbished device. 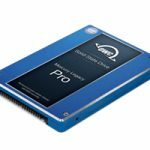 I’ve seen many different options as far as storage capacity and battery life; can anyone give some advice? First question: I read somewhere that the iPod’s storage is not only limited by GB, but also by the number of characters in song titles (can’t find the article for reference). Is there a limit to the number of song files that the device can store, based on some metric other than GB? Second question: The refurbished devices I’ve seen have batteries that seem to range from ~900 mah to ~1800 mah. What is the approximate time, in minutes, of a battery? In other words, about how long could I expect to use a device with a 900 mah battery, versus a device with an 1800 mah battery? Third question: I’ve been looking on ebay for the iPod, and have seen quite a variance in price. Can anyone recommend a reliable seller who does quality refurbishing at a reasonable price? I’m open to purchasing off ebay. 2. 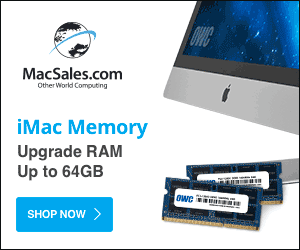 Hard to tell because RAM vs Hard Drive will make a difference as will how you use it. My iPod runs for weeks not days between recharges. It’s not like an iPhone that needs recharging. 3. Not sure! Just go for a PayPal reputable one then you can get a refund if it’s no good. 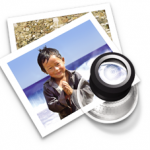 The most likely things to fail are the hard drive, the battery, or the headphone jack. I’ve found that the CanOpener app greatly improves music on, I believe any of the iOS devices. It adds many real world sound features such as cross fade and a high quality equalizer to let you tune the sound to your liking. Do DAC’s wear out over time? No they don’t. Some audio components for example capacitors can get better with age, but generally digital components like a chip don’t wear out, they just stop working all together when they blow up. First, let me say I know nothing (like Jon Snow). I had a few generations of Ipod before I found this review. And finally I could get Ipod 5G. Yes, its sound quality is the best among all of my previous Ipods. (I have no chance to try classic yet, so let me skip it here). What I’m curious is how 5.5G has better sound quality than 5G when they use the same audio Chip (WM87588G)? I don’t mind about better function (search option, brightness etc.) but only sound quality. Is it about the different firmware/software? I’ve asked this as I’m going to get 5.5G, if and only if my budget allows. Thanks for any answer in advance. If there is any difference I suspect it would be in the output circuit – the amplifier and capacitors that come between the A/D and the headphone port. I can’t hear the difference between 5th gen and 5.5th gen but others with better gear/ears claim they can. Eg check out this page on how to mod the output after the DAC for improved audio in both 5th gen and 5.5th gen. This is just to say thanks (so much) for your reply. (my computer was just broke down yesterday and just have it repaired today). I’m going to read the link you recommended. Thank again. P.S. I do agree with you about gears (dac etc.). 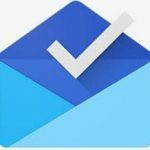 I myself found that even D2M (already tried some) still didn’t work well as many claimed. Instead, some old time extention headphone cables or some new time DIY cables (copper or silver or hybrid etc.) works great with Ipod if connecting to Ipod dock. Sure, I meant about connecting it to amp headphone before headphone itself.